“Mobile to overtake fixed Internet access by 2014” was the huge headline summarising the bold prediction from 2008 by Mary Meeker, an analyst at Kleiner Perkins Caufield Byers who reviews technology trends annually in May. 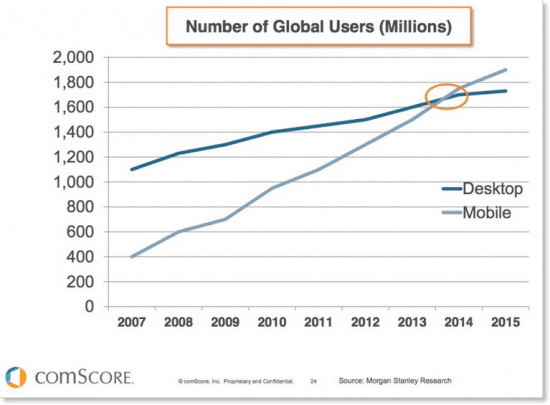 Well, we’re now past the mobile Tipping Point as this report from comScore shows. So it’s no longer a case of asking whether mobile marketing important, we know it is! It’s now a question of using the statistics to understand how consumers behave when using different types of mobile devices and what their preferences are.